Most people would think Northeast Ohio doesn’t need to get any cooler, and generally I would agree (after all, Cleveland is my Paris). However, we could use some cooler ambient air temperature in our urban cores. 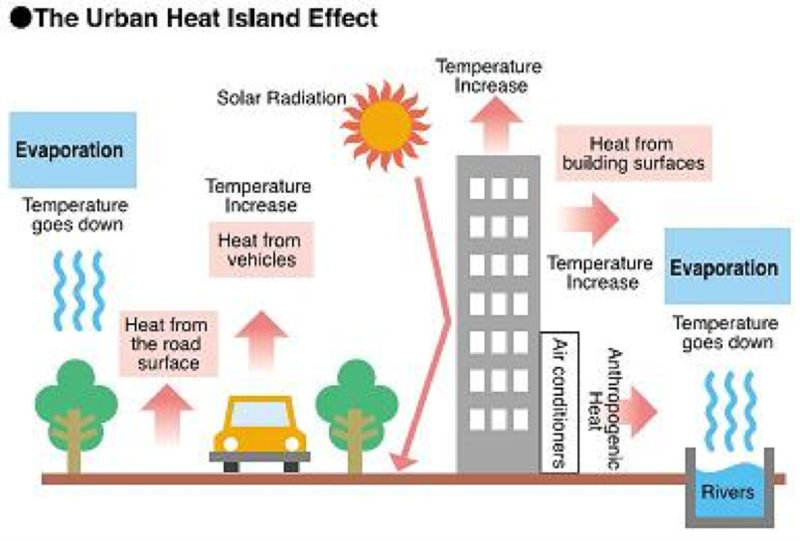 Hotter temperatures in dense urban centers that adjoin rural/suburban areas are called Urban Heat Islands (UHI). In a 2010 University of Georgia study, Northeast Ohio had one of the top Urban Heat Island intensity in the nation. UHI has been linked to increased energy consumption (remember the black out of 2003? ), elevated emissions of air pollution and premature death. The Centers for Disease Control and Prevention estimates that from 1979–2003, excessive heat exposure contributed to more than 8,000 premature deaths in the United States (USEPA). UHI typically effects our most vulnerable populations first – lower income and elderly. co-benefit of mitigating UHI effects. 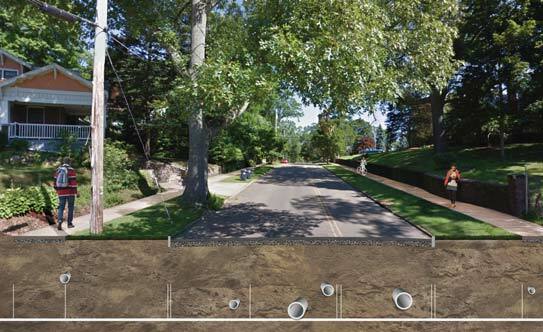 Did you know that large street trees have the potential to reduce surrounding air temperatures by 6-degrees? Green streets that remove stormwater from the combined sewers reduce energy consumption at the waste water treatment plants, thereby reducing air pollutants. Raingarden plants recharge the ground water, which can reduce surrounding ground temperatures. When I was young, I remember my dad strategically planting large, fast growing shade trees on the south side of the house. This was because he learned that properly placed shading around your house can reduce energy costs. I thought he was just frugal, but now I know, he was improving our quality of life. How is your community using green infrastructure resources to help cool your city? If you want to calculate the benefits of your street tree, green roof, or rain garden, check out these online calculators. For more information about implementing green infrastructure elements into your next community project, please contact Katherine Holmok at kholmok@envdesigngroup.com.